ExtraDigital have recently began internet marketing work for Advantage Catering Equipment, adding to the portfolio of both eCommerce and Kent based organisations. Based in Dover, Kent, Advantage Catering is one of the UK’s leading suppliers of Catering Equipment for cooking, refrigeration and janitorial equipment including warewashing products across the United Kingdom. The range of products covers all types of industrial and commercial catering equipment, with free delivery on high value products. Advantage Catering stocks the leading brands of catering equipment at competitive prices. ExtraDigital will aim to add to the continued success of the brand, bolstering online conversions through an effective eCommerce marketing strategy. 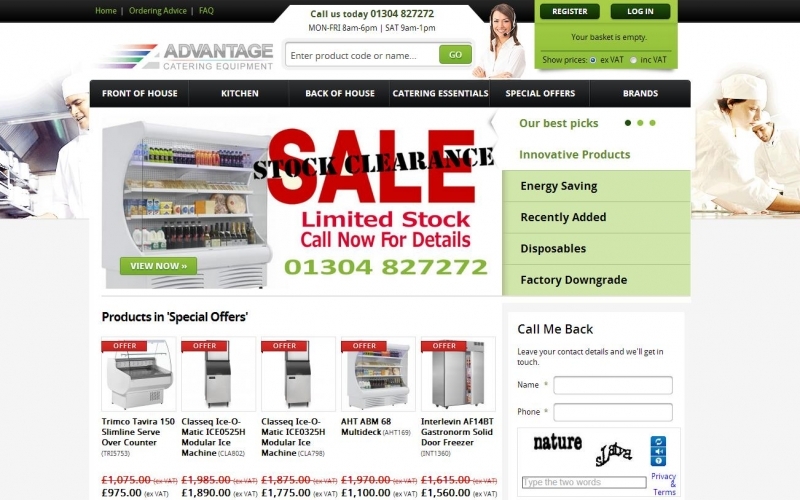 ExtraDigital specialise in the design, development and Marketing for eCommerce websites such as Advantage Catering. For more information about eCommerce marketing, get in touch with ExtraDigital today on 01227 686898.